We provide 24/7 AC Repair and AC Replacement services in Austin–Round Rock metropolitan area since 1997. There are several reasons for air conditioner needing repair. What size and type of air conditioner do you need? Proper maintenance can help lower utility bills. It's time for you to replace your air conditioning system. Austin A/C and Heating is a family-owned business providing quality, dependable, honest, and professional air conditioner repair, and maintenance services in Austin, Cedar Park, Jollyville, Pflugerville, Round Rock, Hutto, Windemere, Georgetown, Leander, Brushy Creek, Lakeway, The Hills, Barton Creek, and other nearby towns in the greater Austin area. Austin A/C and Heating has been helping Austin families repair their air conditioning units for years. 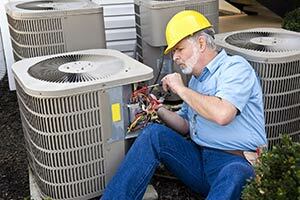 We provide quality, dependable, honest, and professional air conditioning and furnace repair. Homeowners and commercial property owners alike can rely on us to be there when they need us, and we're always prepared for the job. Our team at Austin A/C and Heating is not your standard HVAC company. Our exceptional customer service, knowledgeable staff, and attention to details are what sets us apart from everyone else. Get in touch with a professional air conditioning or furnace repair expert today by calling us, we can answer all of your questions. Homeowners and business owners in the greater Austin area have relied on the maintenance and repair services of our technicians to help them get through those hot summers for years. That's why we pride ourselves in providing all of the air conditioning and heating services you need. Our staff stands above the competition when it comes to reliable service and customer experience. Take a look below at what services we can help you with as well as our service promise to you. Our team of experts is not only fully equipped to help you with any maintenance or repair for air conditioning units, but can also help you with any furnace or heater repairs you may need. The techs here at Austin A/C and Heating have years of on the job experience diagnosing many different types of HVAC repair issues. We have the knowledge and the expertise to help you get your air conditioner or heater fixed in a hurry. The AC service tech came out between the time he stated. Gave a text when he was on the way. He was nice and easy to talk to. He can in very professional and got the job done. We really thank you and will be using them from here on out.